In 2013 I moved house and had no proper studio space for a long time. I had only a tiny area to work in and mainly used my sketchbook for a couple of years. I had had a book on my shelf for a long time, about things made in a fascinating material called silver clay. I discovered that HIgham Hall near Cockermouth in Cumbria was offering an introductory workshop led by a tutor called Tracy Spurgin. So as a break from my ‘non- studio’, I went along and had a really interesting couple of days. 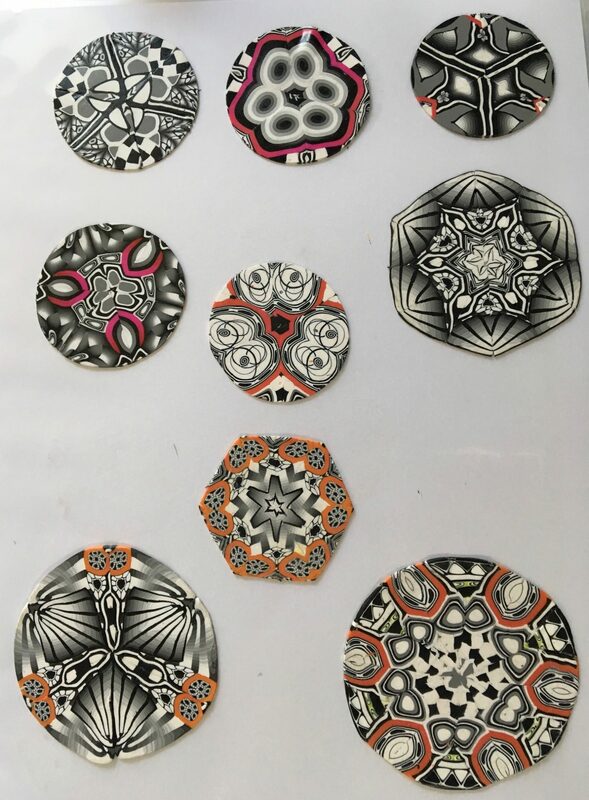 As I left I said to Tracey “ This is quite expensive stuff, is there anything else I could use to practice some of the skills required to work with this material?” She suggested I try polymer clay. 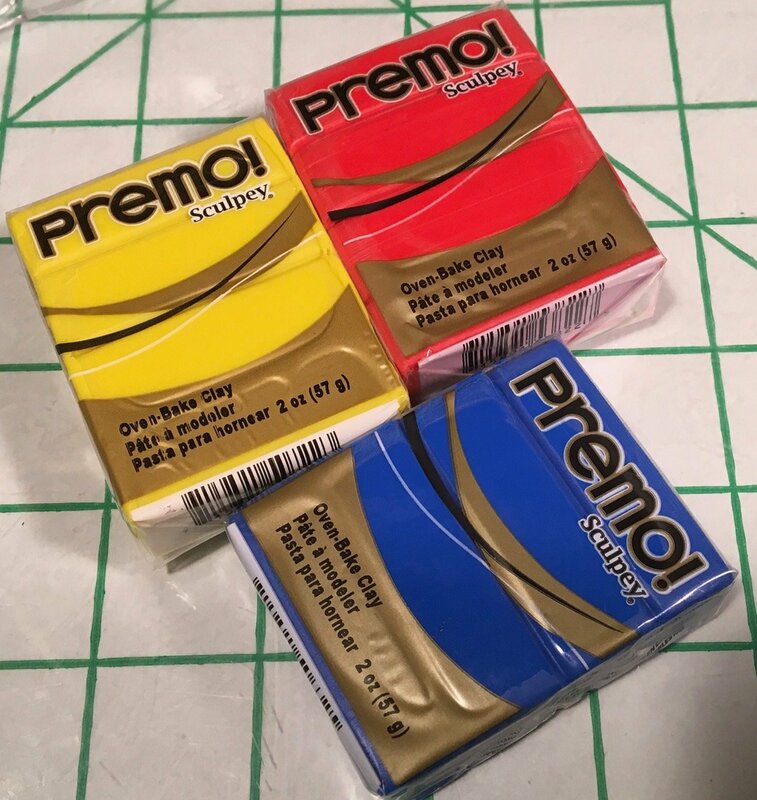 I came home, bought myself some Premo! 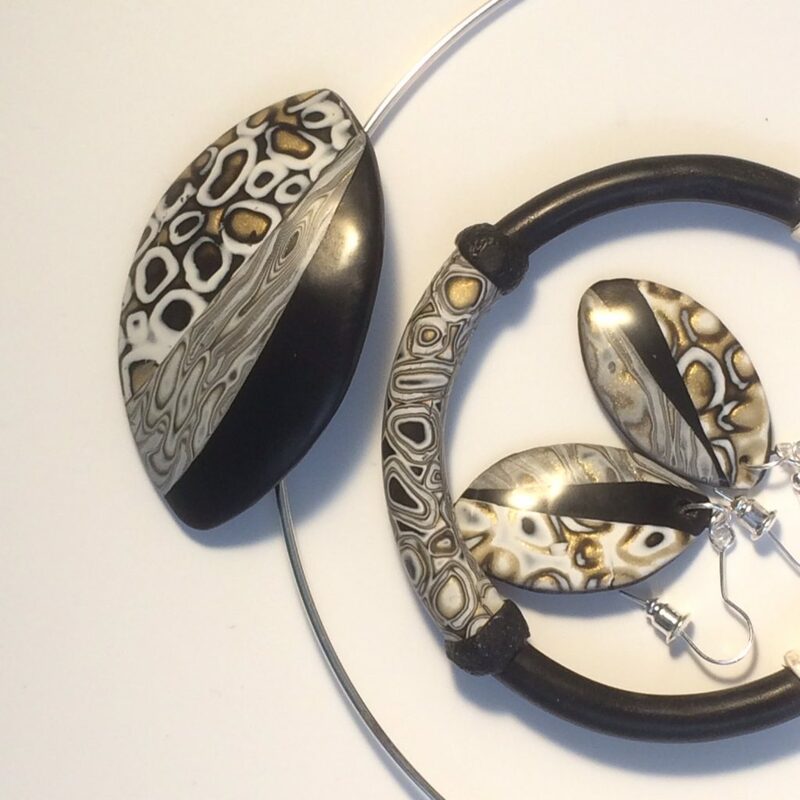 polymer clay and was instantly hooked….colour in 3D, pattern and texture and much, much more. I was, and still am, amazed at the versatility of this interesting material. 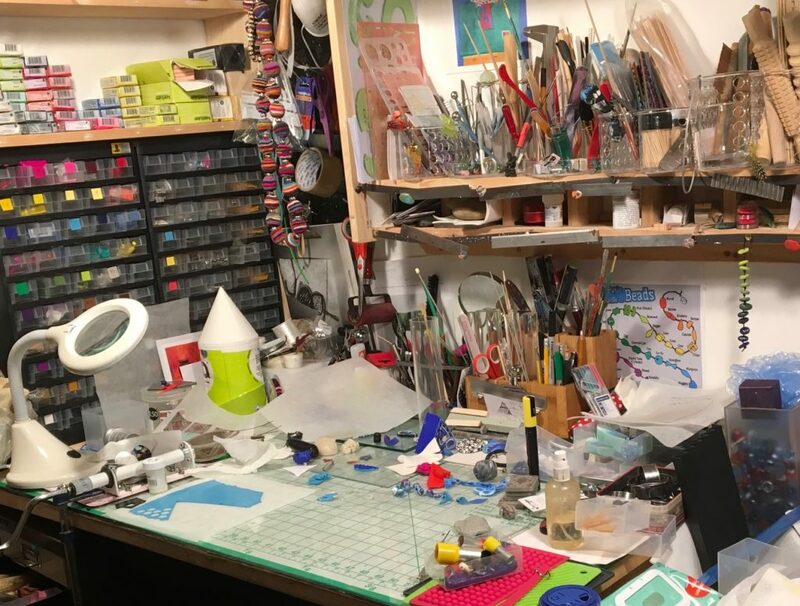 Polymer clay worktable – in mid flow – messy! I never thought I would discover another medium I love as much as paint. But I have! 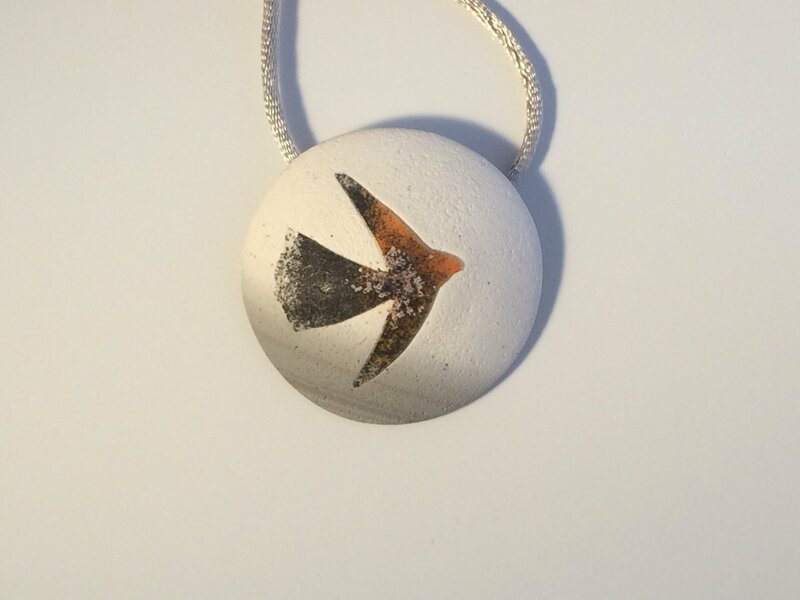 So far, I have not picked up the silver clay again, but you never know. So, I have spent the past couple of years playing with it, trying every technique I can. Making small things like brooches and earrings and bangles so I can try out techniques and processes. It is very interesting to be a beginner again. This year I have attended an amazing 7 day intensive workshop in kaleidoscope caning with the amazing Carol Simmons from Colorado ( the workshop was in Bristol!) I learned so much from everyone there, and especially Carol, who has decades of experience in using polymer. 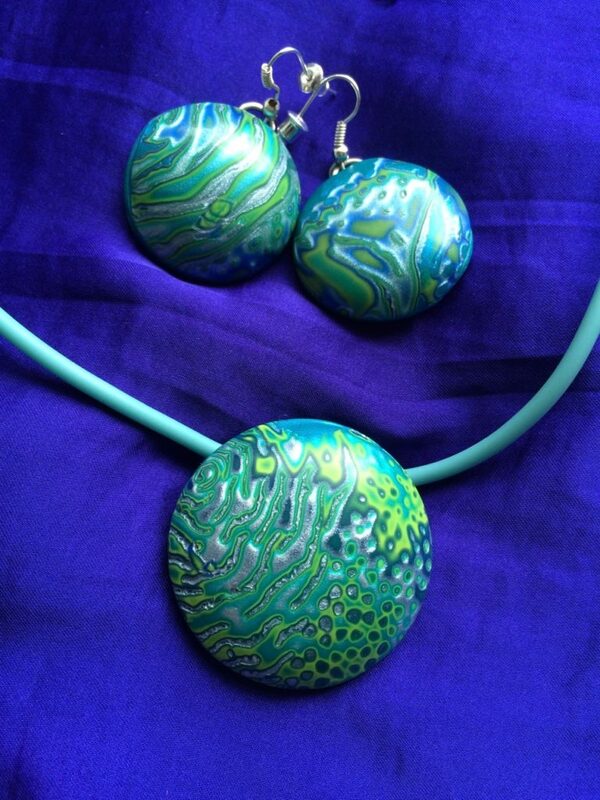 In July I attended at 6 day conference organised by the International Polymer Clay Association. This was really an amazing experience for me. I met many of the world leaders in the art of polymer. I attended three workshops and came home exhausted but totally enthused and inspired. It was always my intention to combine polymer with paint, and so finally this summer, I jumped in started with that as you see in my Triptychs and Installation pieces. 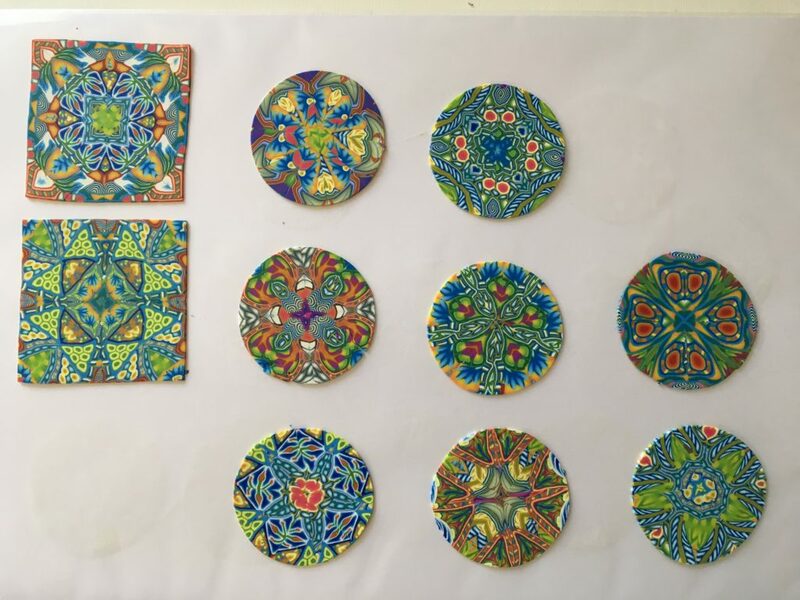 Creative play has always been part of my process as an artist and I am still playing, and learning lots about polymer clay. I doubt that will ever stop. But for now, I am spending less time making the small things and more just creating my images and using polymer as new medium in my tool kit. I will be writing more about what it brings to my practice that paint does not. So if you are interested to know more, watch this space! It has been wonderful sharing your journey with polymer, you have expressed your passion for it so well in this blog !